Have you served in the Canadian Armed Forces, the Royal Canadian Mounted Police or a provincial or municipal police department, or are you a member of the reserve? We have employment opportunities for you everywhere in Québec and Canada. Commissionaires is a non-profit organization that has over 20,000 employees, including 3,000 in Québec. Beyond its commitment to offer meaningful employment to veterans of the military and the police, Commissionaires offers the most competitive salaries in the industry. Our mode of operation allows us to drive back 90% of our revenue to our members and support military causes. 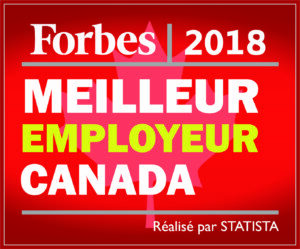 We are also ranked in the top quarter among the 250 best employers in Canada, according to the Forbes’ best employers in Canada 2016 list. Our employee retention rate is the highest in the private security industry. As the largest private employer of veterans in Canada, we offer you a privileged opportunity to put your skills and experience to work to allow you to continue doing what you do best – protect Canadians. Whether you’re looking for a job as a stepping stone from your military service or a long-term career, we offer full-time, part-time or casual employment. We offer training, development and advancement to our members. The security guard training is free* for veterans and members of the reserve. The reputation of our security guards, site supervisors, training officers, detention guards, administrators and managers is renowned in the industry and appreciated by our clients. MISSION: EMPLOYMENT is the extension of Commissionnaires du Québec’s social mission to hire veterans in the private security sector. The program now offers professional career transition support for veterans, with the advantage of having privileged access to all fields of employment, thus becoming part of a large pool of candidates for employers looking for a quality workforce with exceptional professional experience. The MISSION: EMPLOYMENT portal is in keeping with Commissionnaires du Québec’s constant efforts to honour its mission to benefit the men and women who proudly served their country. Whether you are an employer, a veteran or an active member of the military or if you wish to find out more about MISSION: EMPLOYMENT, please feel free to contact us. We will be happy to answer all of your questions and help you in your employment process. Anyone who has been honourably discharged from the Canadian Armed Forces, from the regular Force or the reserve. Any active member of the regular Force or the reserve who is going to be honourably discharged. Any active member of the reserve looking for civil employment.